When I notice myself saying with exasperation "why does this keep happening to me? 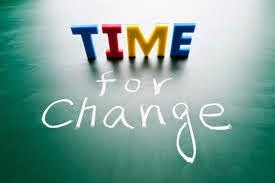 ", then I know it's time to make a change. It's an old pattern, an old choice. At one time that choice, habit, way of thinking may have helped you to survive.Like when my parents worked a lot when I was growing up, and I learned to do the best I could to meet my needs on my own. It was a coping strategy that served me well then. But not so much anymore. It became time for me to start reaching out and asking for help. I am surrounded by people who want to help me. Not everyone will be available when you need them, but you keep asking until you find the person, or people, who are. So if you find yourself wondering why that thing keeps happening, then look for a new direction. Only the insane continue to do the same thing over and over again and expect different results. Just do it. Change something.